I got into the headhunting business in Silicon Valley when I was just 24 years old, fresh out of graduate school. Not yet a full-fledged headhunter, I flew east that first year to visit my family for the Christmas holidays. 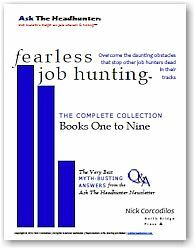 At every party I attended, word got around that a headhunter was in the room and I was swamped with requests for advice and job-hunting help. 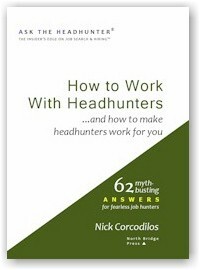 That was when it hit me: Being a headhunter (no matter how green) was very cool. I had instant friends. People were whispering in my ear, sharing without hesitation the most private things about their work lives. But the thing that startled me most was this: People just blurted out how much money they made. Who says my salary is any of your business? I grew up in a working class household. My parents never talked to anyone about how much money they made. In fact, my parents taught me never to divulge my earnings to others. Your income was private, and your regard for another person was not to be based on how much money they earned or possessed. That was just the rule. Today, people still want to tell me how much money they make. Maybe they think any discussion with me constitutes an interview, and in an interview you’re supposed to tell your salary. After all, one of the first things that an employer requests on a job application is your detailed salary history. Prospective employers routinely want to see a pay stub. When they make you a job offer, you’re required to sign a statement confirming your last salary. And people open their kimonos just as routinely, sharing information that is no one’s business but their own. Of course, your income does say something about who you are. But, when you’re about to begin negotiating for a new job, do you really want to help an employer negotiate against you — by telling him what someone else paid you? Should it really matter to a prospective employer how much money you make? 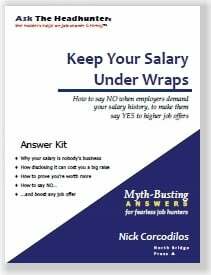 You should always keep your salary under wraps. 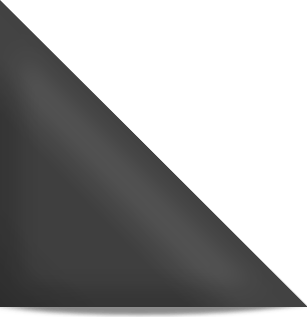 Get the highest job offer you can! The HR person who does that gets many kudos for their shopping moxie from their boss, and gets to keep their job and go on many more shopping trips. 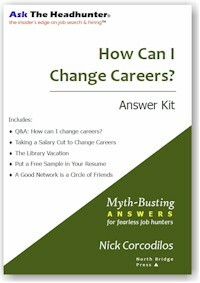 Most HR managers hate my advice because it gives the job seeker an edge. Let yourself be judged; insist on it. Having worked with many, many people in the course of helping my client companies fill jobs, I know that your salary is an irrelevant measure of your worth outside the confines of your place of employment. That is, your employer pays you what he thinks you are worth to him, based on what he can afford to pay you. If one’s compensation were the true and objective measure of one’s worth, no one would ever get a salary increase when changing employers. But consider an engineer who’s been earning $100,000 per year. She gets an offer for $130,000 to change jobs because the new employer has an engineering need that’s worth $130,000 to satisfy. Yet if the engineer says she was making $100,000, she’s much less likely to get a significantly higher offer. As long as the new employer gets what he expected in exchange for the $130,000, everyone should be happy. Except the engineer’s last employer, of course. Since your value is relative to the specific employer, then why would any employer care what you’ve been earning at your last job? Why would you tell what your last employer paid you? It’s a good question, and one I’m asked all the time by people who are rightly perplexed when a personnel jockey insists on knowing their salary history. A responsible, well-managed business shouldn’t care what you’ve been earning. What will matter to that company is whether and to what extent it needs your abilities, how much it can afford to pay you, and how much profit it projects you will bring to its bottom line. A smart company would never pay you based on anyone else’s judgment of your worth, because that worth is relative. It should base its offer to you on what you can do at this job and at this company. Never disclose your salary history to an employer! That’s why there is no reason under the sun to divulge what your last employer paid you. Your salary history is no one’s business. Who says your salary history is anybody’s business? Why does HR really want to know what you get paid? How can you say NO… and get the best possible offer? Don’t let your old salary be used as a “cap” on your new job offer! 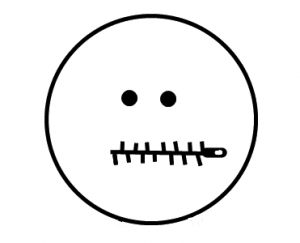 Learn how to say NO to demands for your salary history, politely and with authority. Prove your value, to get hired at the highest possible salary! Learn how to stop employers from using your old salary to put a cap on your new job offer! Order your copy now!